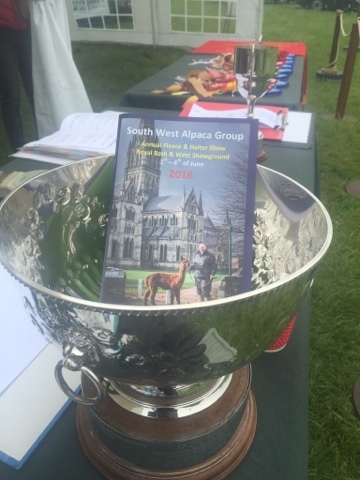 Just had me a great two days judging halter at the South West Alpaca Group Show at the Royal Bath & West. I remember attending this show at its inception 15 years ago as an exhibitor, again the following year or so with the BAS promotional trailer when Julio Sumar judged it. I have watched it move and be developed ever since then into what is a fantastic showcase for our wonderful creatures. 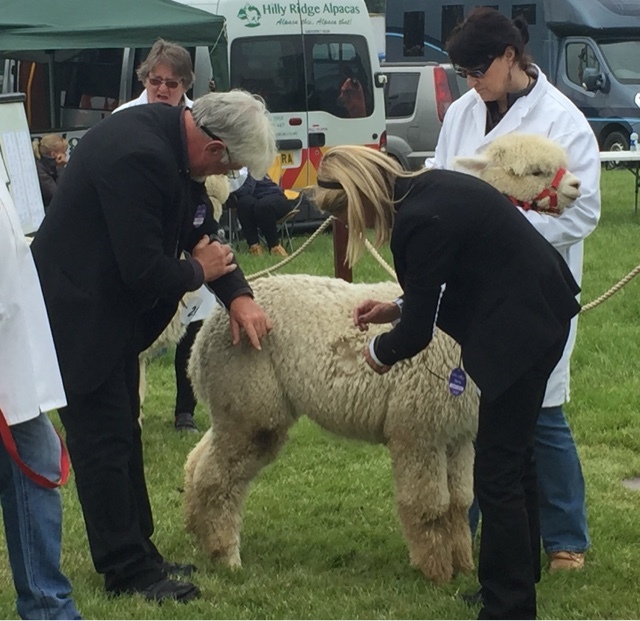 The alpacas now dominate one corner of the show ground. 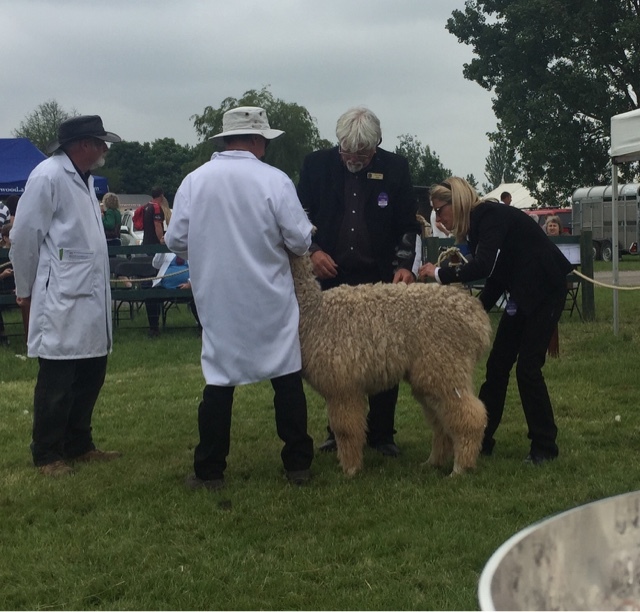 A location with immense potential for agility classes, walks , info demonstrations all sorts of Alpaca related activities to inform and entertain the public. We had a great crowd watching throughout. I was immensely proud of the Champion lineup in both Huacaya and Suri with some real quality alpaca livestock on display. Thanks to SWAG for inviting me. Thanks to Di Davies and her merry team of stewards and organise for their organisers for creating a truly memorable couple of days. Thanks to all the exhibitors for letting me judge your animals and here's wishing you a very healthy and productive season ahead. And finally good luck to Julia Corrigan Stuart who apprenticed with me throughout. She did a great job was a pleasure to work with and I wish the very best from her judge certification later this year. Eeee.... This grass is taking a bit of eating..!